Chamber of Industry and Commerce of Kuiavian-Pomeranian Voivodeship is one of the oldest business which associates entrepreneurs from Kuiavian-Pomeranian Province, guaranteeing protection of their businesses and representation towards local and national government. The Chamber offers to its members a wide range of services, e.g. free legal advisory, protection against dishonest contractors, assistance in finding trade partners and assistance in obtaining subsidies from EU for local enterprise development. 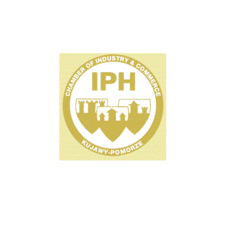 Chamber of Industry and Commerce of Kuiavian-Pomeranian Voivodeship for years remains a leading training institution in the region. Member of Polish Chamber of Commerce.